Makers, developers and hobbyists that are of searching for an accurate indoor Arduino positioning development board, maybe interested in the Pozyx that has been created by Pozyx laboratories. Pozyx has been designed to provide an Arduino compatible platform that is capable of positioning devices accurate to within a centimetre, as well as providing motion information along the way. 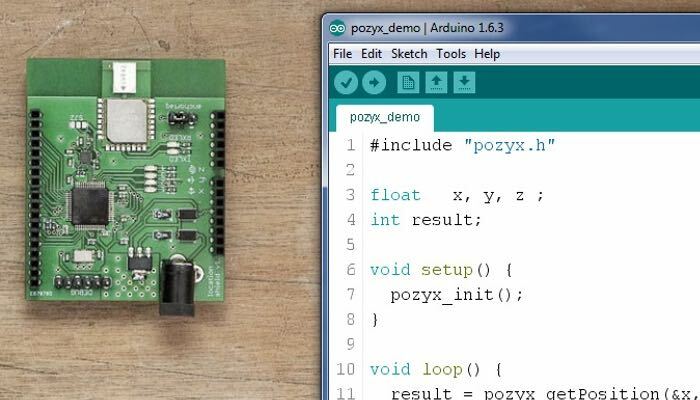 “Pozyx is the first affordable and easy-to-use hardware solution that provides accurate indoor positioning and motion information for Arduino. In order to achieve a positioning accuracy of a few centimeters, the pozyx system relies on a novel wireless radio technology called ultra-wideband (UWB). Pozyx is now available to back over on the Kickstarter crowdfunding website with pledges starting from $179.